Another instalment from the wild and exciting life of Chris P.
This time we see him in one of his oft-visited habitats of the tropical rainforest. Chris nimbly scales a 100 foot Dipterocarp, makes a brew, and abseils back down again. 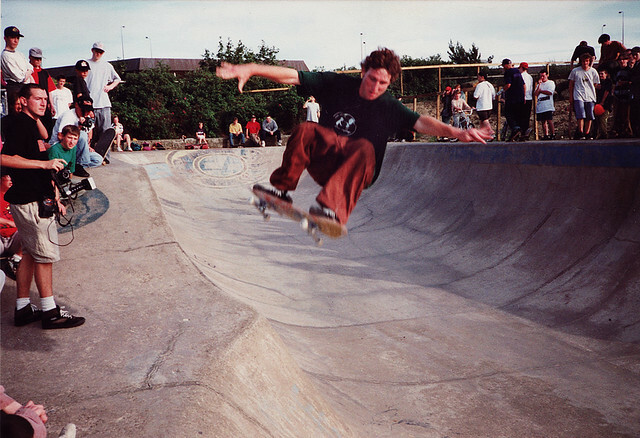 I recently dug out some photos I took of a pro skate demo that came to Livingston in August 1992. 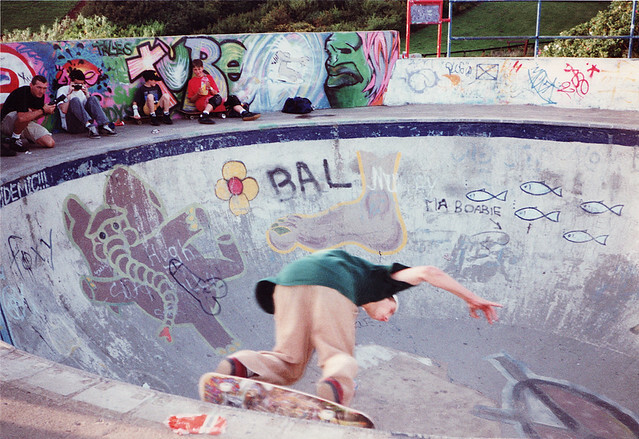 One of the images that has attracted most attention is of the legendary skater Mark Gonzales. 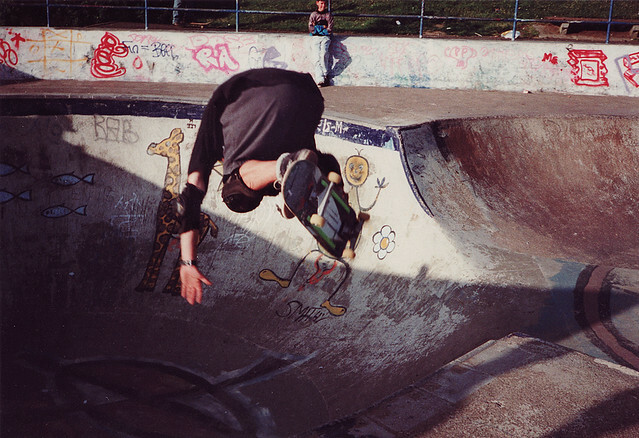 It’s not my best capture from that day, but I scanned it and posted to flickr because he was a legendary skateboarder. Although he is seen here in a concrete park, his reputation was built by innovating and pushing the boundaries of street skating- riding handrails, steps, gaps and other elements of the urban landscape. 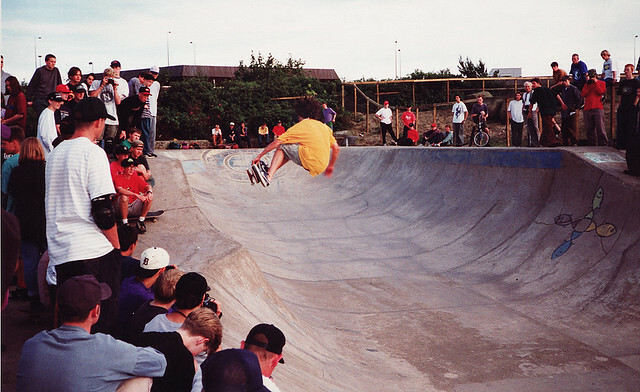 The demo took place on Friday, 31st July 1992, at Livingston skatepark. 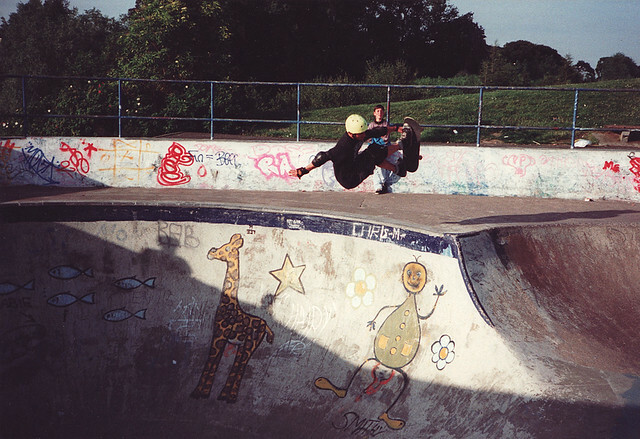 It is a large concrete park that opened in 1981, and has played a part in UK skateboarding history. 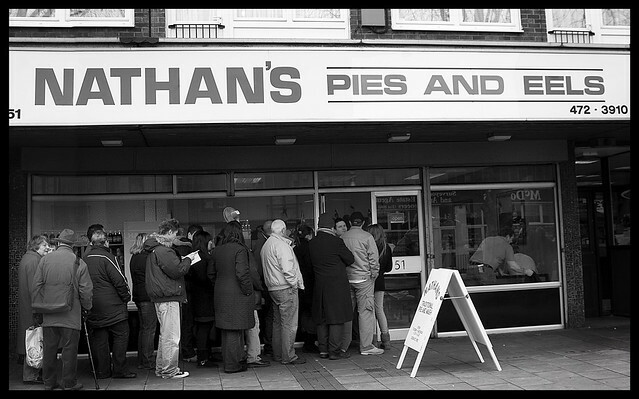 I was 15 at the time, and traveled through from Edinburgh to see the demo. I remember a buzz amongst the crowd due to the fact that Mark Gonzales was there. The other skaters were impressive, but there was a special vibe about the place because of ‘the Gonz’. Everyone was talking about his Nike low top shoes. It seemed a bit weird at the time that a pro would wear non-skate shoes. But a year later, ever skateboarder in Edinburgh was wearing Puma State, Addidas Gazzelle or Addidas Super Star. The Gonz was always ahead of his time. The scruffy afro, shorts and no socks just added to his air of nonchalance. He didn’t skate as much as the other riders- he only needed to drop in and do a few smooth tricks, and he’d done his job. The core of the entertainment came from Salman Agah, Karma Tsocheff, Ron Chatman and John Cardiel. Wee Joe from Edinburgh was there – rad mellies over the hip. John Cardiel did totally tweaked indys a frontside noseslide IN THE POOL [sic]. apparently they had a flatland sesson which would have been so rad. According to my diary Gonzales was sponsored by Milk at this time, but I think this is wrong. Milk was a new company that apparently didn’t last long. I scoured the web for more info on Milk, and all I could find was some vague memories in a blog by Travis Jensen. I might be wrong- Wikipedia says Gonz rode for Real Skateboards. If anyone can remember more about Milk skateboards, please post a comment. I remember the demo as being organised by Real, although riders from other sponsors were there too (Black Label, Consolidated). The camera I used was a Canon Sureshot 35mm compact- the second camera I owned. It had autofocus, but very few manual functions. The photos came out pretty well considering. I must have been using 400ASA film.